Jurassic World was little more than a re-run of Jurassic Park, with glossier (?) CGI and Chris Pratt. Oh, and the I-Rex. It was devoid of awe, terror and entertainment. I was less than enthused with the prospect of a sequel. From the trailers, it seemed Jurassic World: Fallen Kingdom would be little more than a re-run of The Lost World: Jurassic World. However, what started out as a re-run quickly turned into something different. While Fallen Kingdom is messy, it’s a damned fun film! I don’t want to spoil too much of Fallen Kingdom, but the basic premise is similar to The Lost World. Isla Nublar’s volcano is erupting, thus putting the dangerous Jurassic World’s dinosaurs at risk of extinction. Owen Grady and Claire Dearing return to Jurassic World, along with a small army of mercenaries, to rescue the dinosaurs. And that’s all I can tell you, without spoiling anyting! Forget about Owen and Claire. Owen and Blue is the most moving relationship in this film! First of all, the opening scene is evocative of Jaws, Spielberg at his best. It’s chilling, funny, and horrifying all within the space of ten minutes. We’ve seen mercenaries “saving” dinosaurs before, but like the aforementioned T-Rex roar, not all is what it seems. In fact, the Isla Nublar storyline contains one of the most emotional, powerful and beautiful scenes ever seen in the Jurassic Park franchise. If you’ve seen it, you’ll know what I’m talking about. If not, brace yourself. But the real fun happens off Isla Nublar. I don’t want to spoil anything, but it’s something far more contained and intimate than the usual theme park gone wrong we’re used to in Jurassic Park. In fact, the lower stakes actually suit this different take on Jurassic World. Here, the awe and wonder doesn’t come from seeing the dinosaurs. We know that, and the films know it. We’ve seen CGI dinosaurs before. They aren’t miracles any more. But they can still terrorise audiences like they did in 1993. And that’s the real beauty of this film: it will chill and thrill you from beginning to end. However, not everything fits in well. There’s a certain plot turn that’s glossed over. Bits and pieces are borrowed from previous Jurassic Park films. The deus ex dinosauria happens far too often. The stitching together of the two halves of the film feels a little haphazard. While it pretends to explore ethical, philosophical and political issues, they are merely a cover for the next exciting set piece. We see people campaigning for dino rights, and that’s something so ludicrous that it’s actually believable in the crazy world we live in. Of course, those dino rights are forgotten for most of the film (until they are needed). Claire wants to save the dinosaurs! Who doesn’t? I’m on Twitter, and I read plenty of tweets that staunchly advocate “fun” films. We don’t need the next Citizen Kane, we just need a good night at the cinema. I heard it in favour of Solo: A Star Wars Story, for example. But I wholeheartedly believe that this belief readily applies to Fallen Kingdom. Sure, it’s a race from getting to set piece A to set piece B. Sure, the dialogue often veers into the cringe-inducing. Sure, the plot falls apart with a moment of examination. But, in spite of myself, I had fun for the most part of it! Even when I rolled my eyes, that roll as soon disturbed by some excitement. I’ve never seen a film try so hard to be different yet stick so rigidly to formula. It’s a bewildering contradiction of a film, but a film I couldn’t stop smiling at. Forget the magic of Jurassic Park. Fallen Kingdom embraces the horror that Spielberg toyed with in the original. On a re-watch, I’d probably hate this film. But it’s by far my favourite Jurassic Park sequel! VERDICT: 7/10. Jurassic World: Fallen Kingdom extends the franchise into new and thrilling directions, whilst serving the most exciting and horrifying outing to date. 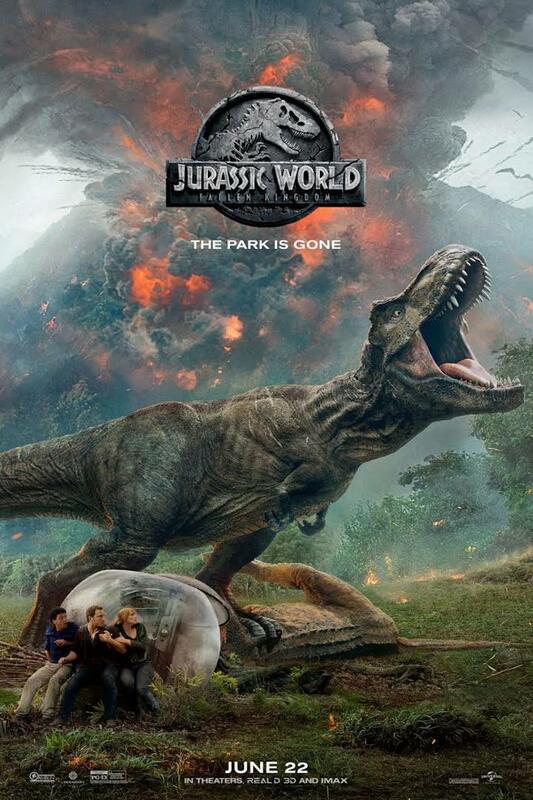 What did you think of Jurassic World: Fallen Kingdom (1998) Leave your thoughts/comments below! Well, I wasn’t going to bother with this, but I will give it a go now. Great review. Cheers! I did go in with very low expectations, and was pleasantly surprised! Yeah, I got a chance to see this with my brother, and thought it was a lot of fun, except for the part where I spent the entire second half of the movie mad as hell about how dumb the villains were ,and I’m really gonna have to post about that because their stupidity really bothered me! I was more moved by Blue and Owens relationship than any other in the movie, since the two of them have the most chemistry. 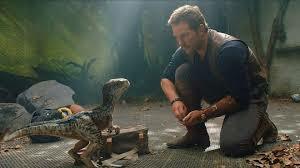 I was moved by that last scene at Isla Nublar, and the ending, which once again focused on Claire. I don’t know why we need Chris Pratt in these movies, cuz I’d watch Claire and Blue having a girls adventure in the city. That would be awesome! Oh, yeah, the hunter is the guy who played Captain Stottelmeyer from the TV show, Monk, and he was also Buffalo Bill in Silence of the Lambs, Ted Levine! Ahhhh!!!! Thought I recognised him! I really enjoyed the second half of the movie! Yes, the villaims were stupid, but that irritation was offset by the setpieces! Oh yeah, that scene on Isla Nublar…tears in my eyes!